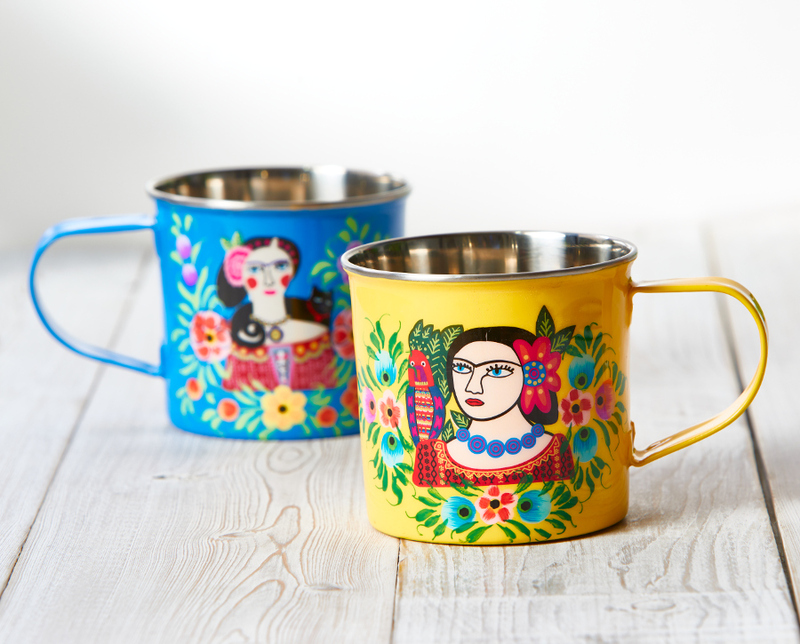 Featuring a surrealist portrait of artist Frida Kahlo, this fair trade stainless steel mug is a bright, cheerful addition to your mug collection. The mug is hand painted by artisans in India, made with traditional techniques. 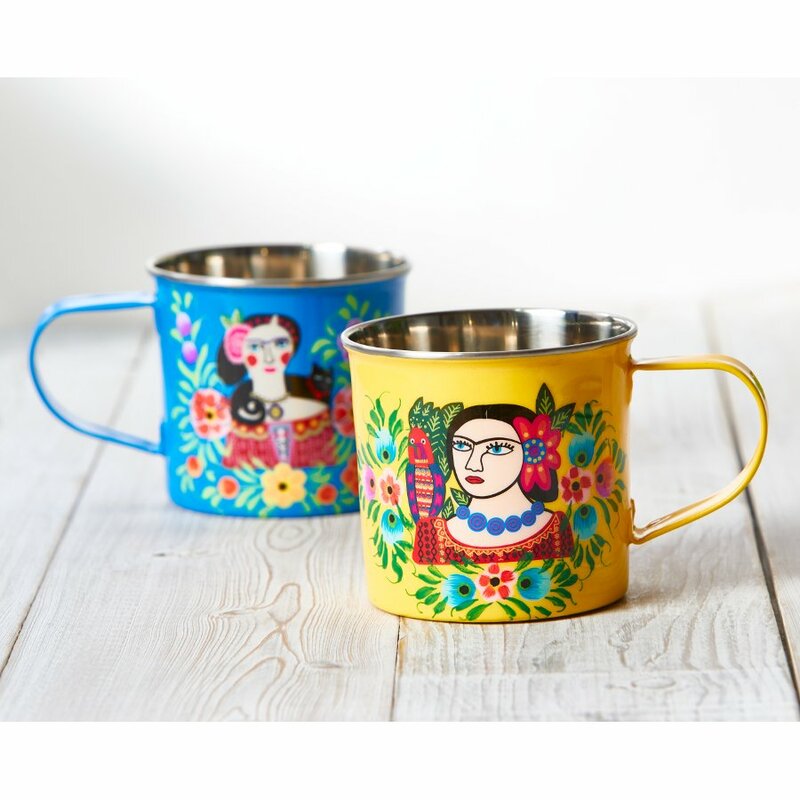 The producer of these colourful mugs with the gorgeously bright artwork that is inspired by Kahlo and is based in the Kashmir region of Northern India with eight office staff. The remainder of their workers work from home on a small cottage craft basis. Employees receive a bonus at the time of the EID festival and the company sponsors a local football team. Their power comes from solar, wind and hydro energy. The Blue Frida Kahlo Stainless Steel Mug product ethics are indicated below. To learn more about these product ethics and to see related products, follow the links below. 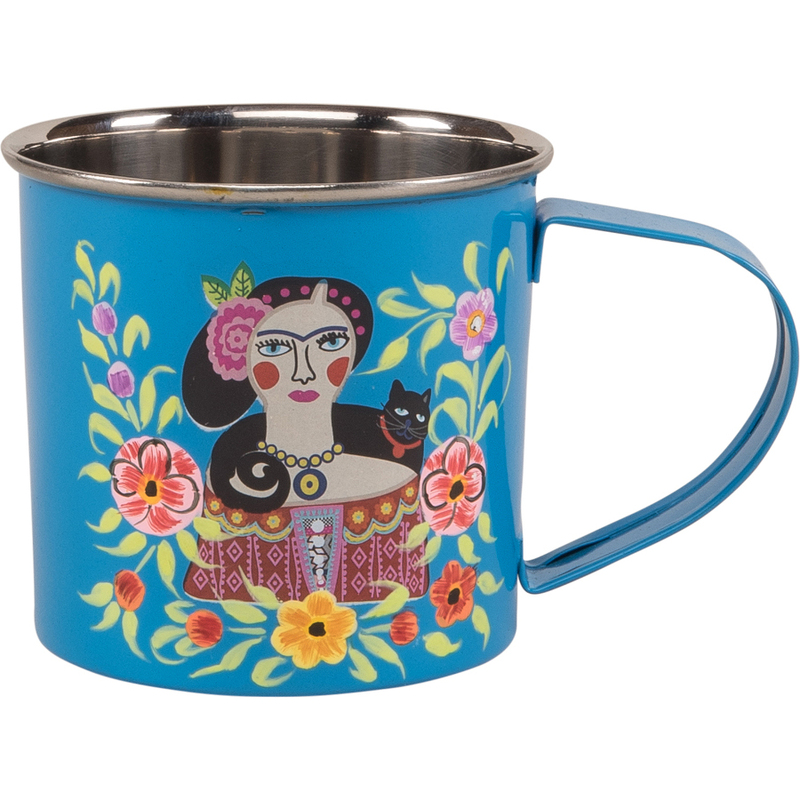 There are currently no questions to display about Blue Frida Kahlo Stainless Steel Mug.